Special Buy Trash Bag Liners 43"x46" 14 mic High Density 200/CT Clear HD434814 - Sold as 200/CT. 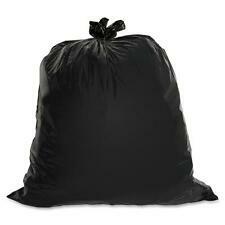 Trash bags are made with high-density resin for greater puncture-resistance. Ideal for office or light industrial waste. Special Buy Trash Bag Liners 24"x32" 8 mic High Density 1000/CT Clear HD243308 - Sold as 1000/CT. Trash bags are made with high-density resin for greater puncture-resistance. Ideal for office or light industrial waste. 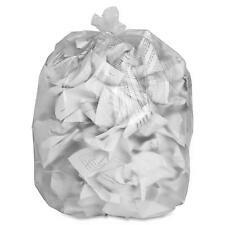 Special Buy Trash Bag Liners 30"x36" 10 mic High Density 500/CT Clear HD303710 - Sold as 500/CT. Trash bags are made with high-density resin for greater puncture-resistance. Ideal for office or light industrial waste. Special Buy Trash Bag Liners 24"x24" 6 mic High Density 1000/CT Clear HD242408 - Sold as 1000/CT. Trash bags are made with high-density resin for greater puncture-resistance. Ideal for office or light industrial waste. 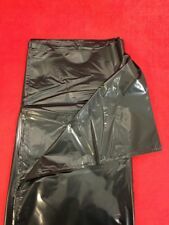 Special Buy Trash Bag Liners 33"x39" 16 mic High Density 500/CT Clear HD334016 - Sold as 500/CT. Trash bags are made with high-density resin for greater puncture-resistance. Ideal for office or light industrial waste. Special Buy Trash Bag Liners 40"x46" 16 mic High Density 250/CT Clear HD404816 - Sold as 250/CT. Trash bags are made with high-density resin for greater puncture-resistance. Ideal for office or light industrial waste. Boardwalk Low Density Repro Can Liners 1.1 Mil 55-60gal 38 x 58 100/Ctn 533 - Sold as 100/CT. 1.0 mil gauge can liner with equivalent strength of 1.5 mil liner. Perforated roll for easy dispensing. Coreless rolls save space and material. Inteplast Group High-Density Can Liner 40 x 48 45gal 12mic Black 25/Roll 10 - Sold as 250/CT. Interleaved for easy dispensing. Made from Formosa resins for reliability and consistency. Excluded are Alaska, Hawaii, Puerto Rico, APO/FPO, PO Boxes and International locations. Special Buy Trash Bag Liners 38"x58" 22 mic High Density 200/CT Clear HD386022 - Sold as 200/CT. Trash bags are made with high-density resin for greater puncture-resistance. Ideal for office or light industrial waste. PITT PLASTICS Linear Low Density Can Liners Interleaved Roll. 63mil 38x58 10Bag - Sold as 10 Rolls/CT. Conforms easily to the shape of the container and distributes weight of the refuse evely around the bag. Boardwalk SH-Grade Can Liners 40 x 46 40-45gal 1.2mil Black 25/Roll 4 Rolls - Sold as 100/CT. 1.0 mil gauge can liner with equivalent strength of 1.5 mil liner. Perforated roll for easy dispensing. Coreless rolls save space and material. 1.0 mil gauge can liner with equivalent strength of 1.5 mil liner. Perforated roll for easy dispensing. Coreless rolls save space and material. Star-sealed bottom. • Heavy duty liners are suitable for all applications. Natural citronella-based repellent. Puncture and tear-resistant. Excluded are Alaska, Hawaii, Puerto Rico, APO/FPO, PO Boxes and International locations. Boardwalk High-Density Can Liner 38x58 60gal 19 Mic Equiv. Star seal bottom design provides even weight distribution and easy removal from a receptacle. Coreless perforated rolls are easy to use and easy to carry. Nature Saver Trash Can Liners Rcycld 40-45 Gal 1.25mil 40"x46" 100/BX BK 00990 - Sold as 100/CT. The premium blend of recycled plastics makes them puncture-resistant and ideal for all trash applications. Low-density polyethylene provides excellent resistance to punctures and tearing. Coreless rolls. Interleaved for easy dispensing. Made from Formosa resins for reliability and consistency. Excluded are Alaska, Hawaii, Puerto Rico, APO/FPO, PO Boxes and International locations. 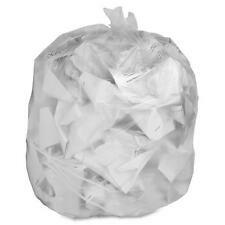 Brighton Professional, Trash Bags, 12-16 Gallon, 24x32, Low Density, 0.7 Mil, Clear, 250 CT (H4832HCE). • Each bag can hold 16 gal. of waste, so you won't quickly overfill your trash bin. • Ideal for all trash applications, including heavy industrial trash. Perforated roll for easy dispensing. Made from Formosa resins for reliability and consistency. • Perforated roll for easy dispensing. Brighton Professional, Trash Bags, 30-33 Gallon, 33x40, High Density, 12 Mic, Natural, 25 Bags/Roll, 10 Rolls (Z6640MNER01). • Ideal for all trash applications, including heavy industrial trash. • The 33 gal. Boardwalk EH-Grade Can Liners 24 x 32 12-16gal. 4mil White 25/Roll 20 Rolls - Sold as 500/CT. Star-seal bottom design ensures even weight distribution, enabling easy removal from receptacles. • Coreless, perforated rolls. Keep trash cans clean by lining them with these low-density 30-33-gallon white trash bags. Each bag is opaque to keep trash out of view for a more pleasant appearance, while the non-petroleum mineral additives provide high performance and extra durability. Performance-sealed bottom prevents leakage for dependable use with liquids. High-density trash bags are made with puncture-resistant, high-density resin. Ideal for office waste. Star-bottom construction is designed for more even distribution of contents. Select a durable linear low-density polyethylene can liner. Tear- and puncture-resistant can liners are an excellent choice. Industrial strength can liners for high-traffic applications. Excluded are Alaska, Hawaii, Puerto Rico, APO/FPO, PO Boxes and International locations. Keep garbage securely contained with these low-density silver trash bags. Ideal for all trash applications, including heavy industrial trash. The 60 gal. Gray/silver color, made from linear low-density polyethylene (LLDPE). 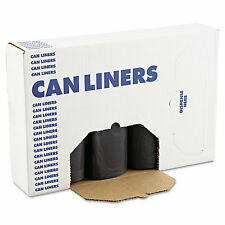 Genuine Joe Liner 20-23 Gal Slim Jim Can 28-1/2"x43" 150/BX Black 70057 - Sold as 150/BX. Liner, 20-23 Gal Slim Jim Can,28-1/2"x43",150/BX, Black. Brighton Trash bags 12-16 gal 24x33 High Dens. Make daily cleanup tasks simple with these Brighton Professional high-density 16-gallon natural trash bags. These Brighton Professional natural trash bags are constructed with extra-strength high-density polyethylene resin to let them stretch without breaking. Stronger and more convenient to improve your bottom line. Excluded are Alaska, Hawaii, Puerto Rico, APO/FPO, PO Boxes and International locations. 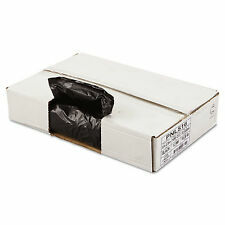 Inteplast Group High-Density Can Liner 33 x 40 33gal 16mic Black 25/Roll 10 - Sold as 250/CT. Interleaved for easy dispensing. Made from Formosa resins for reliability and consistency. Excluded are Alaska, Hawaii, Puerto Rico, APO/FPO, PO Boxes and International locations. ZoomSupply Healthcare Red Biohazard Waste Trash Bags, 33 Gallon 33x40 Biohazard Waste Bags (250/cs) Avoid Huge $$$ Fines & Lawsuits Printed Red "BioHazard Waste". Made from the highest quality raw materials. Manufactured to meet rigid state & federal regulations. Resistant puncture, leaking & abrasion failure. Grade: Heavy, Printed Red. Capacity: 33 Gallon. 33 x 40 Heritage Bag Printed High Density Bag - 33x40, 14 mic [Track Page Views With Auctiva's FREE Counter] (https://pages.ebay.com/seller-center/listing/listing-advanced-sellers/third-party-listing-tools.html#auctiva). Boardwalk High-Density Can Liner 40 x 46 40- 45gal 10mic Natural 25/Roll 10 - Sold as 250/CT. Star seal bottom design provides even weight distribution and easy removal from a receptacle. Coreless perforated rolls are easy to use and easy to carry. Individually folded and dispensed. Excluded are Alaska, Hawaii, Puerto Rico, APO/FPO, PO Boxes and International locations. Can liner with equivalent strength of 1.5 mil liner. Perforated roll for easy dispensing. Coreless rolls save space and material. Star-sealed bottom. • Heavy duty liners are suitable for all applications. Conforms easily to the shape of the container and distributes weight of the refuse evely around the bag. Maximizes carrying capacity. Easy to dispense. Excluded are Alaska, Hawaii, Puerto Rico, APO/FPO, PO Boxes and International locations. Convenient zippered side simplifies laundry collection. Easy-to-clean vinyl construction. • Convenient zippered side. • Easy-to-clean vinyl. Star-bottom seal is designed for a more even distribution of contents. Each two-ply, low-density bag is in a coreless roll for easy dispensing anywhere. Inteplast Group High-Density Can Liner 24 x 33 16gal 5mic Clear 50/Roll 20 Rolls - Sold as 1000/CT. Perforated roll for easy dispensing. Made from Formosa resins for reliability and consistency. • Perforated roll for easy dispensing. Inteplast Group High-Density Can Liner 24 x 24 10gal 5mic Clear 50/Roll 20 Rolls - Sold as 1000/CT. Perforated roll for easy dispensing. Made from Formosa resins for reliability and consistency. • Perforated roll for easy dispensing. 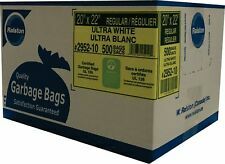 Handi-Bag Drawstring Kitchen Bags 13gal 0.6mil 24 x 27 3/8 White 50/Box HAB6DK50 - Sold as 50/Box. Linear low density resin for greater stretch and puncture resistance. • Linear low density resin for greater stretch and puncture resistance. Inteplast Group Low-Density Can Liner 40 x 46 45gal. 8mil White 25/Roll 4 Rolls - Sold as 100/CT. Institutional linear low-density bags provide excellent resistance to punctures and tearing. Employs star-sealed bottom for even weight distribution. 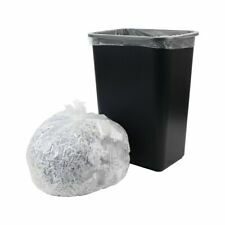 Genuine Joe Trash Can Liner 55-60 Gallon. 8Mil 38"x58" 100/BX Clear 01014 - Sold as 100/BX. Trash Can Liner, 55-60 Gallon. 8Mil, 38"x58", 100/BX, Clear. High-clarity, clear film allows easy viewing of contents in the low-density bag. Tatco Wet Umbrella Bag 7w x 31h Clear 1000/Box 57010 - Sold as 1000/BX. Umbrella bags help keep floors dry and help prevent slip-and-fall accidents, reducing liability lawsuits. Includes die-cut handle and pocket for easy insertion or retrieval of umbrella. Inteplast Group High-Density Can Liner 33 x 39 33gal 16mic Clear 25/Roll 10 - Sold as 250/CT. Made from Formosa resins for reliability and consistency. Glad 13 Gallon trash bags support an active kitchen and provide a versatile plastic bag to tackle any household or office chore. Handle daily kitchen and household demands with Glad's ideally sized 13 gallon garbage bag.